This chapter describes the development and integration of engagement-rich, short-immersion field experiences using international and online settings in STEM education areas, specifically science and technology. Many STEM programs in higher education settings are now utilizing online and international formats to add value to their programs and to give students unique delivery options that are outside of the traditional college classrooms. Online and international settings create challenges and opportunities to the way that field experiences must be organized and managed. 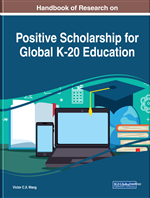 This chapter addresses how some programs are meeting these challenges and using online and international program development to their advantage as STEM fields continue to emerge. If it can be effectively argued that interactions across a community can play a critical role in the sociocultural development of a student’s learning, then we can deduce that students can create valuable meaning from activities and experiences that require socialization (Vygotsky, 1978). By providing international field experiences that are predicated on sociocultural interactions in unique and novel situations, students can employ prior knowledge and understandings from their own context to mediate and create critical thinking opportunities as they are confronted with rich and immersive contexts. For example, when students are encouraged to engage and teach in study abroad opportunities, structured cross-cultural experiences can provide added benefits for preservice teachers in their realization of new perspectives that reverse stereotypes and dispel misconception (Walters, Garii, & Walters, 2009). Rising Above the Gathering Storm, a National Academies report, articulated that the United States is falling short in providing effective STEM education to both our teachers and our students (National Academy of Sciences, National Academy of Engineering, and Institute of Medicine, 2007). In recent years, dramatic efforts to promote discourse, research and practice in STEM education have increased. The White House alone has invested substantial financial resources (2.9 billion dollars) into STEM efforts in the hope that this will lead to effective practice (Office of Science and Technology Policy, 2014). Educational reform efforts include the development of a comprehensive national curriculum for both science and mathematics that reflected the need for an integrated STEM approach (National Research Council, 2012). It can be argued that reforms in STEM education removes the traditional barriers that separates the four disciplines and relies on the intersection of disciplines leading to interdisciplinary solutions to existing real-world problems (Breiner, Johnson, Harkness, & Koehler, 2012). Pedagogical Strategies: Methods for teaching and learning. K-12: Educational system that includes kindergarten through twelfth grades. Traditional STEM Field Experiences: STEM education programs based on face-to-face instruction in university classrooms or labs, where students are assigned to local schools where they participate in a K-12 STEM area classroom. Field Experiences: Opportunities for students to apply knowledge within an authentic environment. Online STEM Field Experiences: STEM education programs based on online instruction in university classrooms or labs, where students are assigned to a school in their own geographical to participate in a K-12 STEM area classroom and document this for assessment in an online LMS. Stem Education: Education which is based in the fields of science, technology, engineering, and mathematics.